This was the first crew race of the Spring season, against an ancient rival, Buckingham Browne and Nichols (BB&N). For eleven years, BB&N had won the "Cambridge Mayor's Cup" every time. But this year, for the first time, our boys won, both Benjamin's second varsity and the first varsity boat. Isabel's second varsity boat came heartbreakingly close, just a foot or two behind, perhaps a best-ever result as well. 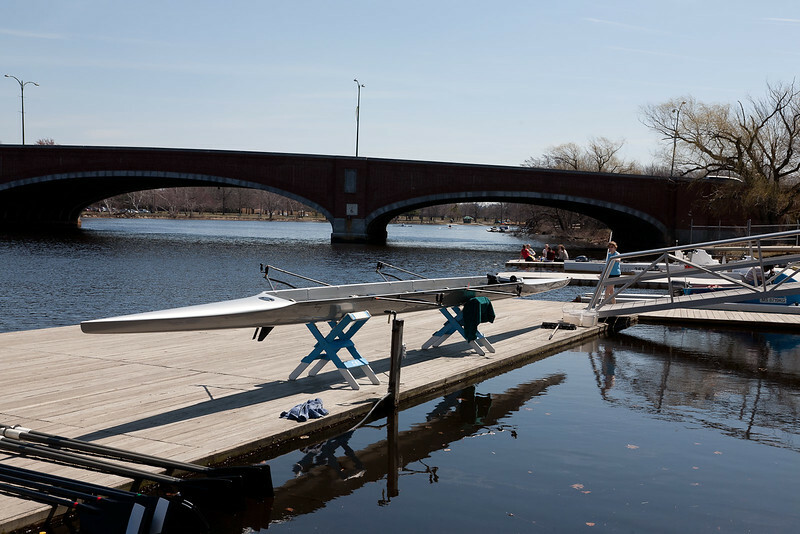 (According to the BB&N coach, this crew rivalry goes back to the 1880s, the oldest high school crew competition in the US, between the predecessor schools.) These are un-edited just to get them out quickly, so no captions, and lots of repetitive pictures. I'll select down and edit later.